Once an uncommon clinical finding, the Chiari malformations are now frequently seen with the advent of more sophisticated imaging modalities. With more than one hundred years of experience with these entities, medicine currently has a much better understanding of the embryology and pathophysiology of the disorder. Long-term outcome studies are becoming more prevalent and patients are commonly operated on with generally favorable results. 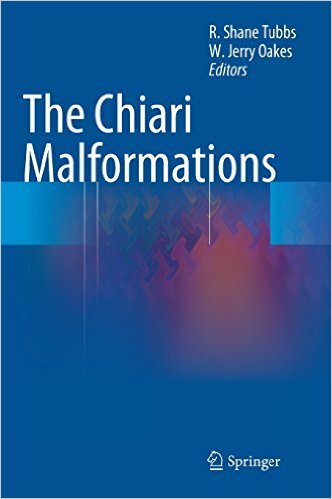 Comprehensive in design, the The Chiari Malformations focuses on the two most common forms of hindbrain herniation, the Chiari I and II malformations. Since the original description and classification of hindbrain hernias more than one hundred and twenty years ago, the Chiari malformations have revealed much of their pathophysiology and have become easily diagnosed radiologically. Indeed with the availability of MRI, more and more patients are being labeled with the diagnosis but without symptoms or appropriate symptoms. Timely and an invaluable addition to the literature, The Chiari Malformations thoroughly details the progress that has been made with our understanding of these conditions, their radiologic definition, details of operative intervention and prediction of outcome.